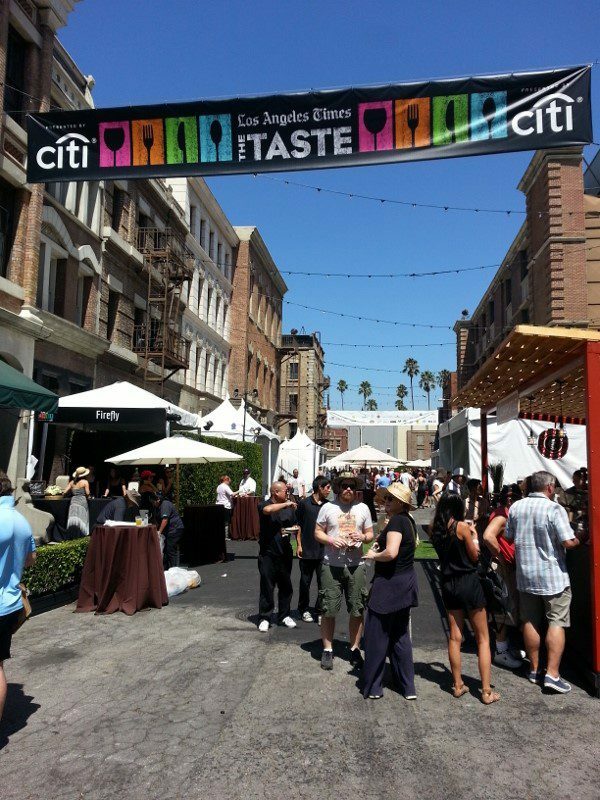 Labor Day weekend marks the end of summer so what better way to end the summer with a final food and wine event, L.A. Times The TASTE. 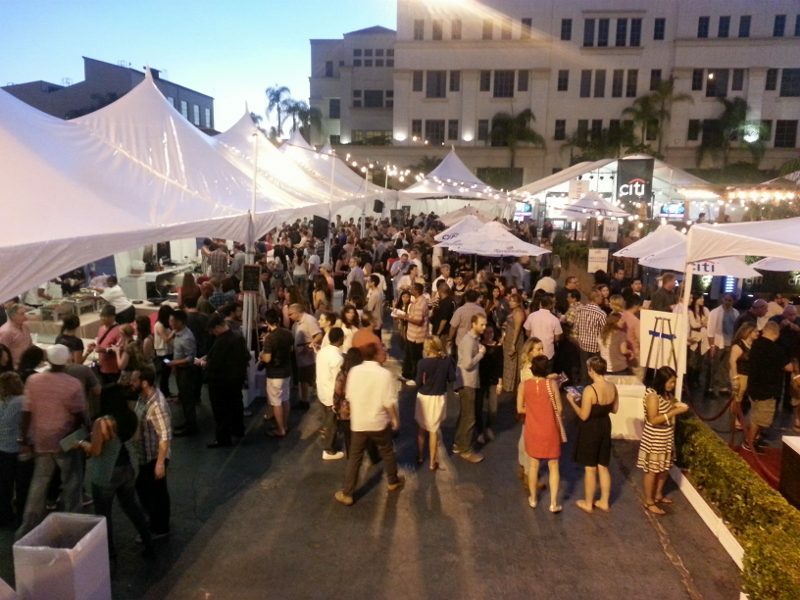 Thousands of people met at the Paramount Lot to celebrate California’s diverse dining scene with five unique events over three days. I missed the Friday night kick-off event as I was out of town. But, I was on the Paramount Lot Saturday morning at 11am for Field to Fork. Hosted by Editor Russ Parsons, the theme of this event was to feature the best locally sourced, seasonal ingredients. Favorites of the day included the Spicy Peanut Salad from Pine & Crane, the Gazpacho from Canele, the confit of wild albacore from Eveleigh and the full plate of Indian dishes from Mayura. But, the stand out was the Ensaymada, a Philippine brioche-like pastry. It was so hot out that I found myself seeking out every rose wine that I could find to try to stay cool. After finding an air conditioned room to cool down in for a few hours, I returned in the evening for Dinner with A Twist, which highlighted the intersection of LA’s culinary and cocktail cultures. But, before we headed to the backlot, there was a special Cocktail Lab where some of L.A.’s top mixologists served drinks with craft spirits. After the Cocktail Lab, I was back on the backlot for Dinner with a Twist. The favorite dishes of the night were the cauliflower & king crab panna cotta from Chaya, the crispy pork belly with gochujang glaze and cashew from The Churchkey and BBQ smoked brisket on a biscuit from Fundamental LA. On Sunday, due to the heat of the weekend, I skipped the Sunday brunch but was back on the lot for the Secret Cellar wine tasting that took place before the final event. Secret cellar featured wines from Italy, Spain, France and California. 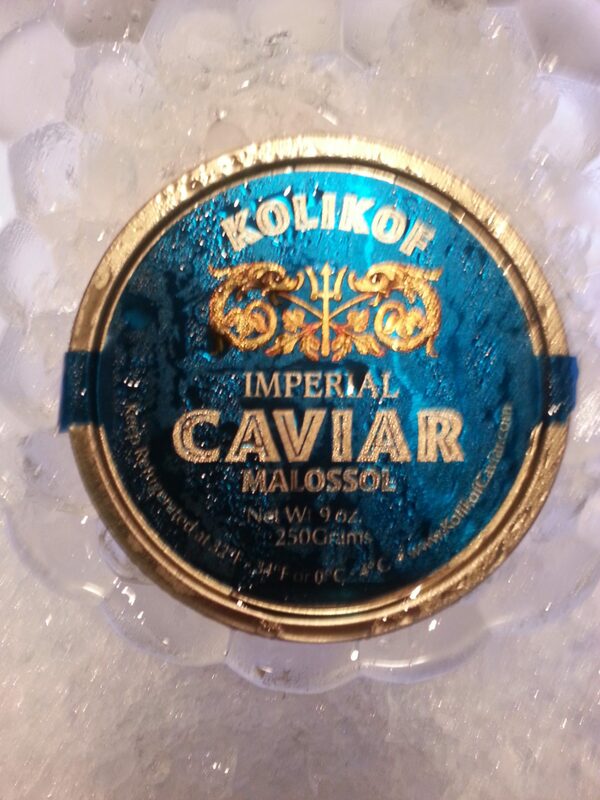 In addition to the wines, there was delicious caviar from Kolikof to try. After a bit of wine tasting, it was time for the final event of the weekend, Flavors of LA. Exploring the cultural melting pot of LA, the favorite dishes of the night were Little Sister’s Laotian chicken larb ga, Acabar’s fried lamb sandwich, MB Post’s 62 degree egg with gumbo sauce and shrimp grits, Cliff’s Edge’s oyster and Joe’s Dulce Enoteca with blackened corn panna cotta, chile-dusted popcorn, lime granita, sweet crema, roasted corn. Once you got beyond the tartness of the granita, the panna cotta was creamy and rich. What a fantastic way to officially end the summer!